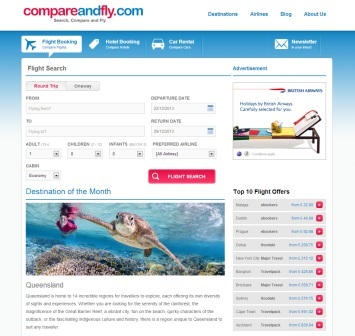 A brand new flight comparison website unveiled recently compareandfly.com has launched to provide travellers with more reliable ways to book flights, accommodation and car hire abroad by only using live feeds. compareandfly.com makes the bold statement that it will lead the way in reliable prices and immediate booking. 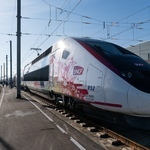 Sales Director for compareandfly.com Spencer Ireland elaborates, “You see an amazing fare after tapping in your dates and destination only to click through and be hit with an enormous booking fee, another search and comparison site or a pop up that says ‘only available to book via the telephone’. We look to eradicate all of these arduous hurdles making the booking process quick, easy and most importantly – reliable”. compareandfly.com will only list flights, accommodation and car hire rates from live, bookable feeds – meaning what you see is what you get 100% of the time. A dedicated team will monitor the website 24 hours a day to ensure every rate is live and available. The service will also be available via smart phones from january 2014.